Connect the BM70 PICtail™ to your PC. Ensure the jumpers are set as shown. 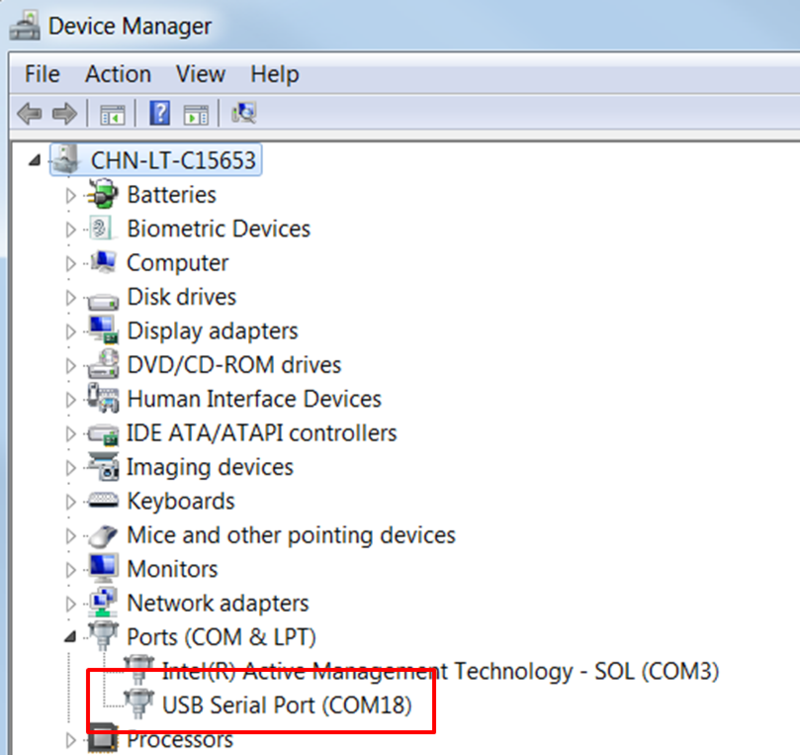 Open the Device Manager window by going to Start Menu > Control Panel > Hardware and Sound and then selecting 'Device Manager'. Once open, check which COM Port has been assigned to the BM70 PICtail. In this case, it is COM18. Please note that yours will probably be different. 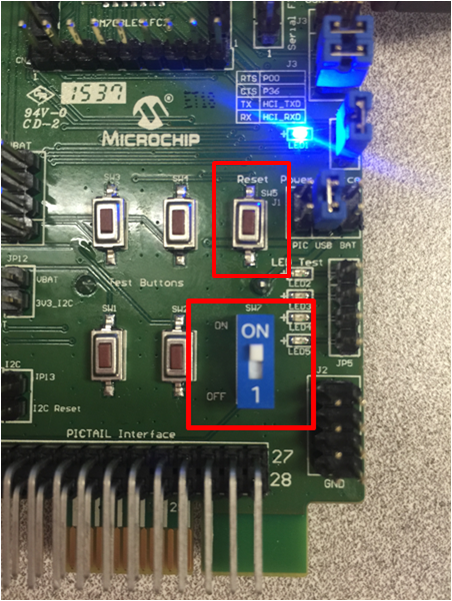 Place the module in Test Mode by setting SW7 in the ON position, then press Reset (SW5) to reset the module. 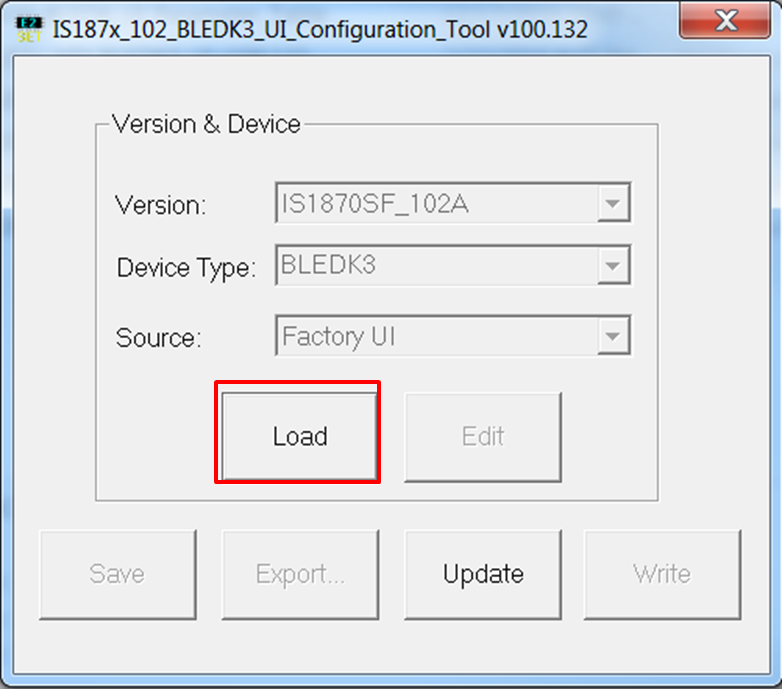 After extracting files from the User Interface (UI) Configuration Tool ZIP file, double-click on the application file called IS187x_102_BLEDK3_UI v100.132.exe to launch the utility. Immediately after launch, the Start Menu window will pop up. Before we can do anything with this tool, we must load a UI parameter table. One way to load the UI parameters is by using an existing UI text file. Selecting Load Text File will open up another window. 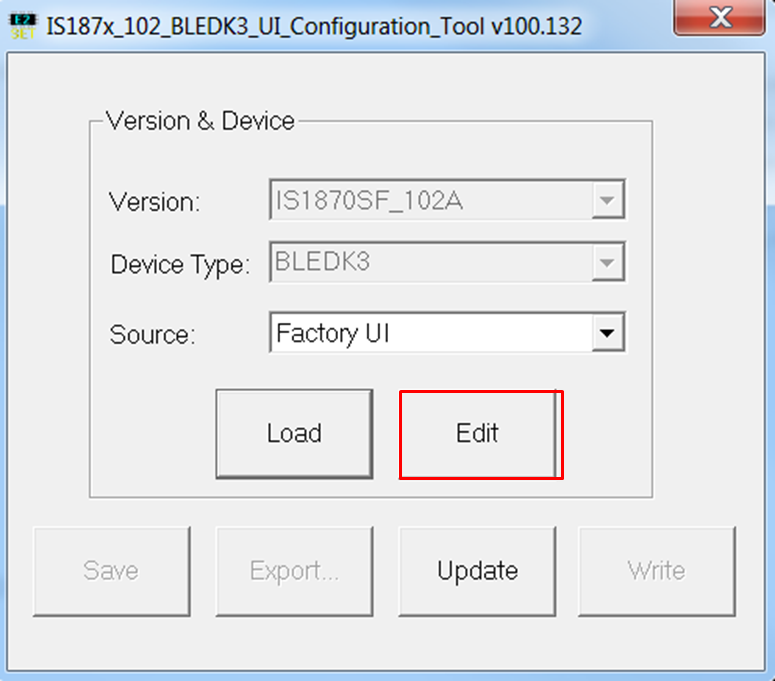 Choose the IS1870SF_102_BLEDK3_UI v100.132(BM70) default text file and click Open. When you press the edit button to start editing UI parameters, the Main Feature window will pop up. This is where you can select the target application. BLEDK3 supports all BLE operations, while the Beacon mode is used for non-connectable advertising only. If 'BeaconThings' is selected, the module will support both BLEDK and Beacon operations. 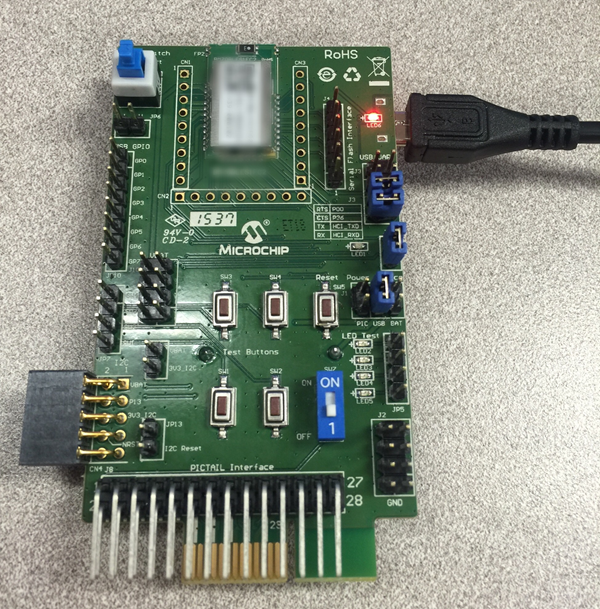 For the purposes of this demo, we will only select 'BLEDK 0x00: BM70' and then click OK.